← Some Bunny Loves Me! DOES EVERYONE GET THIS MANY EASTER BUNNIES?! I have a feeling this will continue to grow each year! 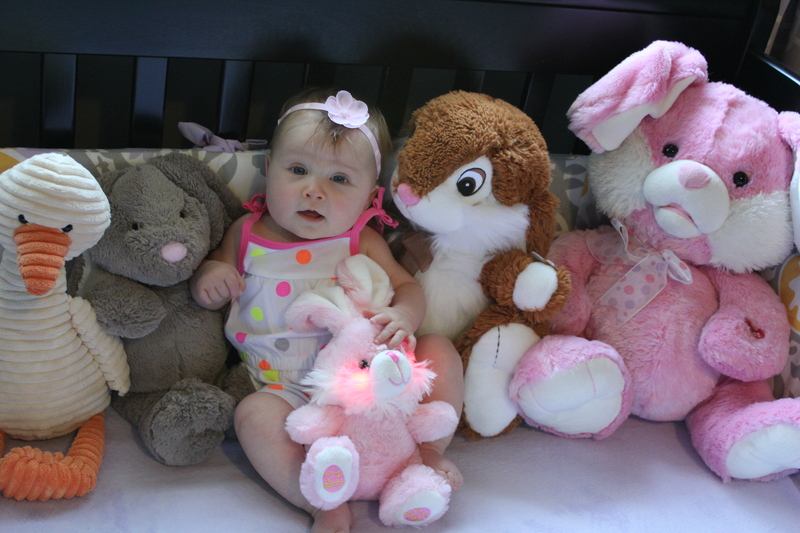 She loves them all, especially the pink light up one from Miss Shelly! I hope everyone had a great Easter! I know we did!